Over the last week or so my family have asked what I’d like for Christmas and I don’t know about you, but I’m really stuck. Bar a new pair of cozy pyjamas or a delicious smelling soap, I can’t think of anything. As our children grow into their teenage years and along with them all the fears that challenge us, the health and happiness of everyone close really is uppermost. Our timelines and news sources are full of tales of uncertainty so rather than material goods, perhaps offering a gift of a skill is the way to go. 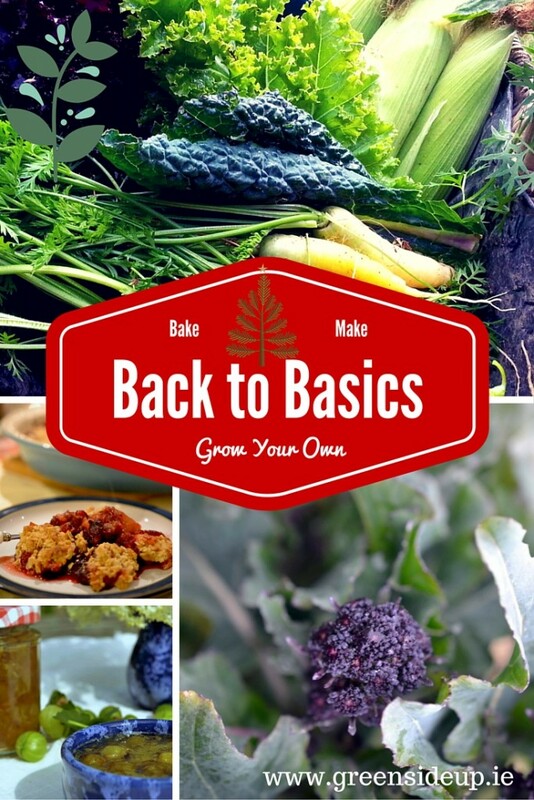 Getting back to basics was one of the reasons I began tutoring vegetable growing. If all of a sudden the shops ran out of food, or perhaps more likely, we run out of money, how would we eat? A bit dramatic I know, but I’m not comfortable leaving my entire food supply to others, are you? There have been a few workshop ideas floating around that have caught my attention; they eventually prompted me to come up with some of my own workshops here at Greenside Up (see number 15); but I was particularly drawn to Riot Rye’s natural bread making course that I spotted after my recent soda bread efforts (number 5), and I can personally vouch for the South Kildare Beekeepers workshops (number 1). If you’re looking for a meaningful gift for a friend, loved one or even yourself, perhaps some of the following might appeal. 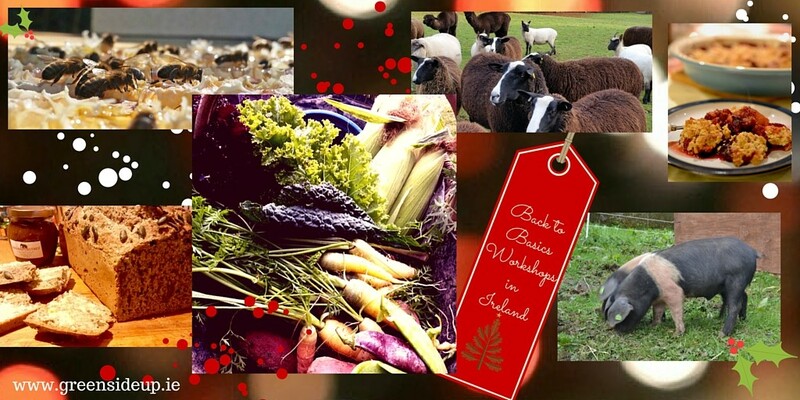 Not only is learning a new skill a present that will keep on giving, you might even make it extra special by combining it with a weekend away in one of Ireland’s beautiful counties. I’m beginning with a Beekeeping course as it’s one that I took in the Spring of 2015 and set me on the path of our beekeeping and honey making. 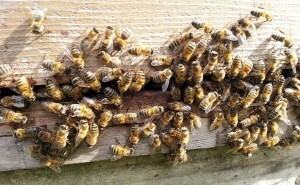 It also provided us with contacts full of experience and advice as well as insurance for our honey bees. 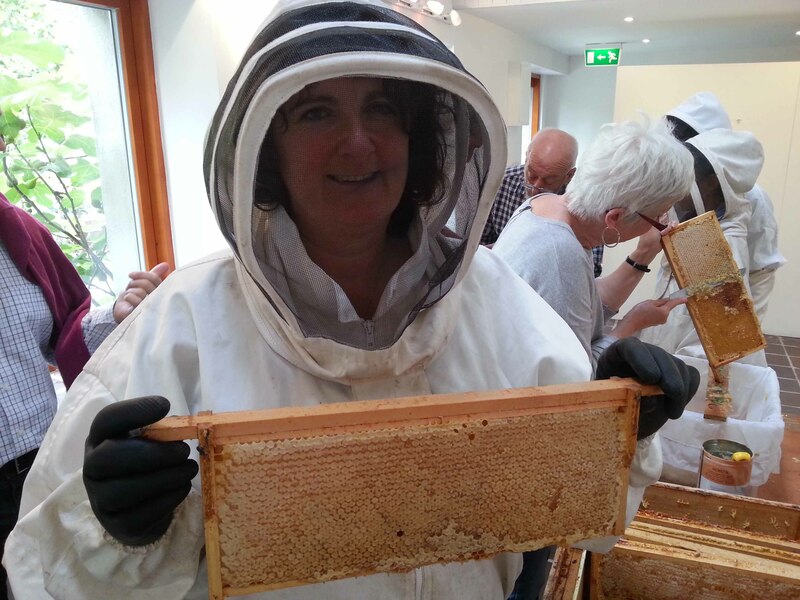 South Kildare beekeepers in Athy have a series of six classes starting in February 2016, cost €50.00 (see here for details) but if you look on the Federation of Irish Beekeepers website, you might find other courses close to you. Definitely the place to start if you’re thinking of keeping bees. Felt making is one of those crafts that I’ve been wanting to learn for years but have never managed. I was sad to have missed a couple of sessions provided by Roisin Markham of Creative Dynamics a few weeks ago in Wexford but will be keeping my eyes peeled if she runs more in 2016. There are several felt making workshops mentioned online; this one from Cork Textiles caught my eye as learners are taught to make clothing. I was given a huge bag of black Zwartbles wool by Suzanna Crampton last year in the hope it would solve our slug problem. It didn’t but maybe I’ll find a use for it after all one of these days! Talking of making clothes, this is another skill I’m now very rusty with. Miriam Lloyd of Sewing Concepts runs beginners dressmaking classes from her studios in Ballon, County Carlow. I was tempted to ask for a sewing machine for Christmas as mine hasn’t worked for years and Miriam came up with a great recommendation; could 2016 be the year to brush up on those long forgotten skills? The School of Food in Kilkenny opened its doors in 2015 and they offer a multitude of cookery classes, from the basic skills right through to chef training. We’re also blessed to have Anne Neary’s Ryeland House cookery school nearby. There are cookery schools dotted all around Ireland that offer classes on everything from jam making and vegetarian dinners to preserving and butchery, though I’d suggest you’re careful about how you present this voucher if you don’t wish to offend your friend or partner! It was Joe Fitzmaurice’s tweet about his sourdough bread making classes that prompted this blog post. We’ve been trying to cut processed foods right out of our diets here in Greenside Up but fail when it comes to bread. However, this recommended bread making course from Joe might just swing it. If you buy a voucher before Christmas for one of the Riot Rye courses in Cloughjordan, Co Tipperary, before Christmas, you’ll get 10% off. Knockdrinna Cheese are based in the tiny village of Stoneyford, Co Kilkenny and are makers of a range of goats, sheep and cows cheep. They have won over 40 International and Irish awards, including a Gold award for their semi-hard goats cheese at the 2013 British Cheese Awards where it was named ‘Best Modern British’. They now offer cheesemaking courses so if cheesemaking is on your ‘to do’ list, you’ll find no better teacher than Helen Finnegan. 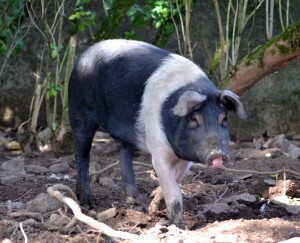 We swore after we began keeping hens that we’d never have another animal here unless we learnt about it first so we booked ourselves on an Old farm Pig Rearing course and subsequently reared our own for the following three years. Alfie and Margaret’s courses sell out fast so if you’re considering taking the more humane option for meat eating and getting a pig or two, I can personally recommend this course. Have you ever wanted to learn the art of soap making? Tanya from Lovely Greens in the Isle of Man has enticed me with her beautiful blog post tutorials, and as a result, I’d now like to try something more hands on. Luckily the Organic Centre in Leitrim will be running a cold presses soap making course in April with Vanessa Finlow which sounds perfect. Well not exactly but Steven Lamb and Gill Meller, two members of the River Cottage team will be sharing their skills at Croan Cottages at Dunnamaggin in Co Kilkenny. During the three day residential workshops, they’ll be teaching participants all manner of cooking techniques from fish to pizzas, breadmaking and curing, making for a very special culinary experience. 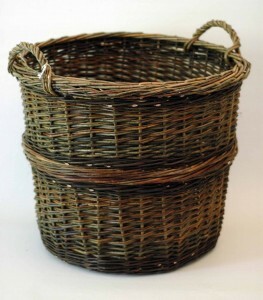 Heike Kahle Hartmann is a gifted basket weaver living a couple of miles from us in County Kilkenny and if you’d like to buy a finished product, her workshops are often open where you can pick up a gift for a friend or relative. Heike also offers basket weaving classes and after a quick Google, I came across this one in Tinahealy in County Wicklow taking place in February. For more information or enquiries about Heike’s work or classes, you can view her details here. As COP21 closes I’d love to be able to share news of LOTS of courses or workshops about creating energy more sustainably but I’m sad to say I couldn’t find any. The Sustainable Energy Authority of Ireland offer lots of links on sustainable energy and advice for primary schools, but try as I might I couldn’t find any workshops for adults – there’s a gap in the market if ever one sprang out. In the end I contacted Davie Philip of Cultivate who told me they are making plans for energy courses at Cloughjordan Eco Village, so although not in time for Christmas, if this is an area you’re interested in, be sure to sign up for Cultivate’s newsletter and stay informed. In the meantime many groups have come together and signed a community energy proclamation which you can view here. If you’re serious about beer making, Beer Ireland are offering a Diploma in Beer Making during 2016, which may also be free to job seekers. 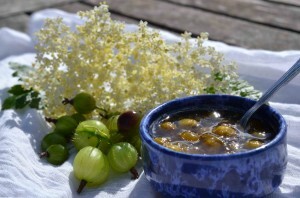 For the hobby brewer there are several workshops throughout the country but this one day workshop from Irish SeedSavers in County Clare caught my eye – Beer making made easy taking place in May for €70.00. With an increase in the price of alcohol due to take place in 2016, this could be a great investment. 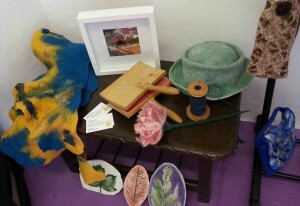 CELT are a registered charity that offer sustainable living workshops and in 2016 they have another two-day traditional skills workshops planned, where you can learn to make your own jewelery, furniture, cloth, knives, leather, or even build your own home. 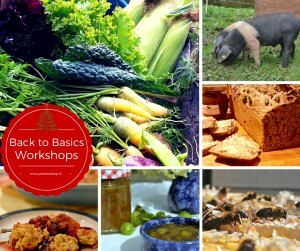 For more information on this real back to basics weekend, take a look here. Mary White of Blackstairs Ecotrails has an amazing knowledge of all things wild and wonderful growing in the Carlow hedgerows. Another course I’ve been meaning to take for several years now, this would make a lovely gift for anyone who has an interest in learning more about hedgerow plants. Finally, last but certainly not least, how about learning more about growing your own fruit and vegetables. It’s good to see workshops being advertised all over the country but if you fancy a trip to the Carlow /Kilkenny border, for the first time since I began Greenside Up 6 years ago, I’ll be hosting a series of gardening workshops aimed at beginners. The workshops will be restricted to just eight people, offering a much more personal learning experience with a light lunch and refreshments provided. We’ll be starting on Sunday, 13th March with seed sowing and propagating, followed by an introduction to organic gardening on 10th April, growing your own herbs on 22nd May and finally tackling pests, diseases and weeds without chemicals. If popular, I’ll be adding more workshops to the list. For more information, prices and booking details, take a look here. If you’re looking for more gift ideas for friends or loved ones, Vibrant Ireland has suggestions for online shopping in Ireland and you can find a Greenside Up archive post here for gardening Christmas gifts – what gardeners really want. But back to basics and things that matter, many of the animal charities are looking for sponsorship such as Animal Magic Wildlife Rescue, a gift that animal lovers might appreciate. You can contact Animal Magic here. If you have any more ideas for back-to-basic workshops, please leave them in the comments, we’d love to hear them. The best course I ever did was a diploma in aromatherapy. It took a year but was a life enhancer and changed the way I think about plants and medicine. If I had the cash I would study herbal medicine next. That sounds fascinating and two excellent ideas for further learning. I’m a big fan of aromatherapy oils but tend only to use them in the bath or just use lavender or citronella in the burner. I know there’s a massive amount more they can do. Lovely inspiring post Dee, I think that the gift of a the chance to learn a life-enhancing skill, especially one that works in harmony with nature is the very best kind of Christmas present. Ha Ha, I am hoping that he’s not the only husband who’s read it! Can We Save the Pollinators of Ireland?